The range today comprises three vitolas including the Molino or mill, which is a Cervantes size. Don Quixote was, of course, famous for tilting at windmills. 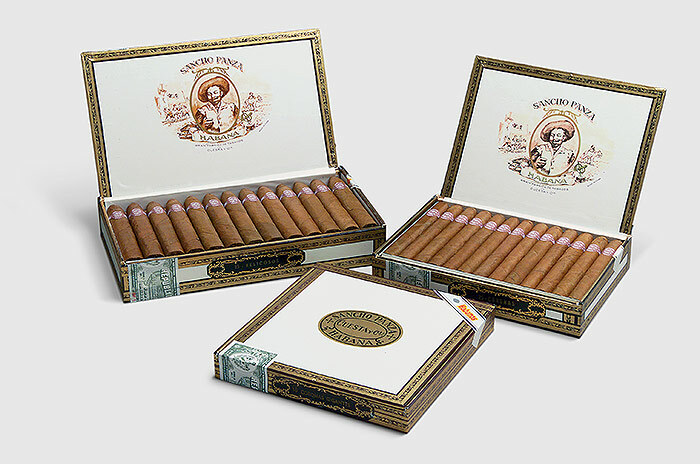 Filled with a medium-bodied blend of filler and binder tobaccos from the Vuelta Abajo zone, all sizes are Tripa Larga, Totalmente a Mano – long filler, totally hand made.